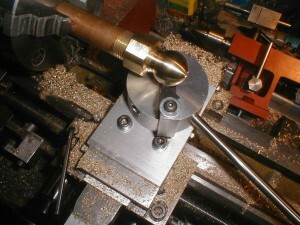 This article describes how I made two round disks on my lathe out of sheet metal too thin to be held in a lathe chuck. 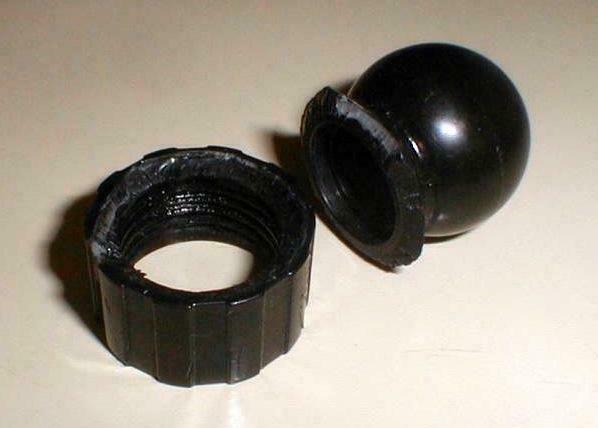 I also could not use a mandrel because one of the disks was not going to have a hole drilled through its center. 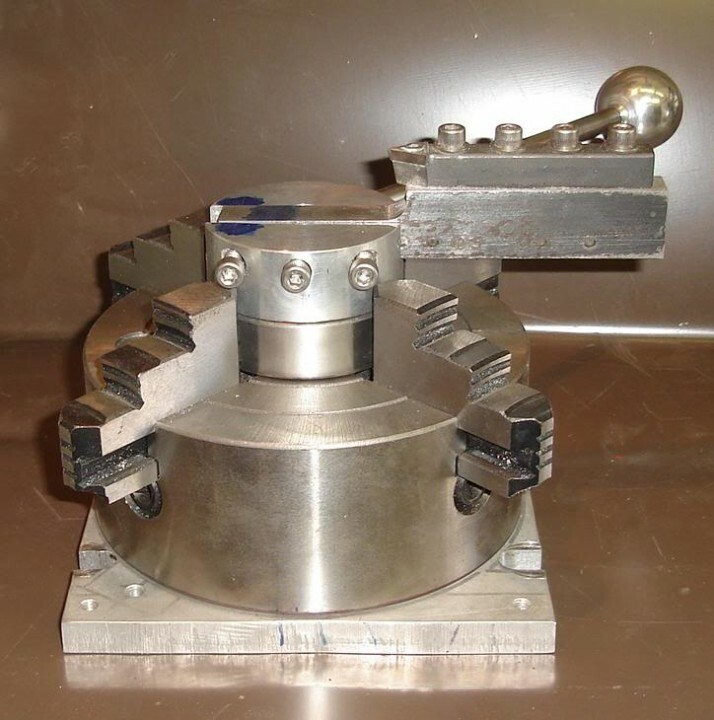 The two disks were made from .073-inch thick aluminum sheet metal and are about 5-inches in diameter. They are the top and bottom cylinder plates for the Stirling engine I am building. First, I want to give credit where it is due. 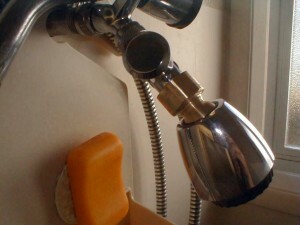 I learned this from “Bogstandard” who described it on the Home Model Engine Machinist Forum and illustrated it with lots of nice pictures. 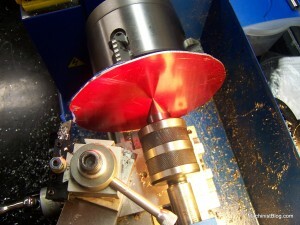 He calls this method friction turning and uses it to make flywheels out of flat plates for models, which can be sometimes be easier and cheaper to obtain than a chunk of large diameter round stock. 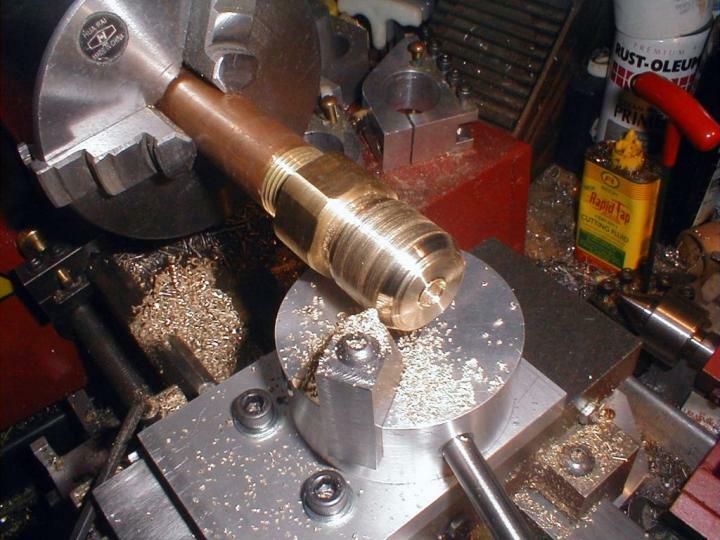 With this method the work piece is held against the jaws of the lathe chuck by a live center in the tailstock. 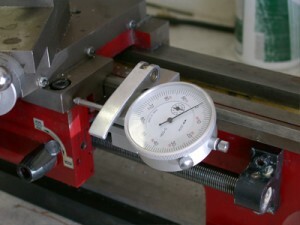 This allows you to turn down the diameter of the entire length of the work piece. The jaws are opened so their outside edges are a little less than the finished diameter of the work piece. Bogstandard recommends that you put an appropriate size piece of round stock in the chuck, presumably so it helps support the middle of your workpiece. I did not do that for this project and it still worked fine.